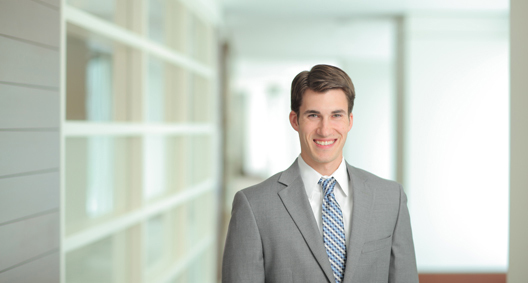 Tom Donaho focuses his practice on complex commercial and business litigation. He has experience representing clients in a wide range of contract matters, business torts and real estate disputes. Tom also has specific experience advising and assisting clients in the energy industry with respect to risk management through oil field service agreements and on issues concerning the Texas Oilfield Anti-Indemnity Act. Represented an oil field services company in a contract dispute concerning indemnity obligations specified in an equipment supplier agreement. Assisted an operator in revising terms of a master service agreement to more effectively manage risk. Assisted a client in revising an oil field services contract to ensure compliance with the Texas Oilfield Anti-Indemnity Act. Assisted a heavy equipment manufacturer in defending against strict liability and negligence claims. Assisted an oil field services company with a personal injury suit in which the plaintiff suffered life-threatening injuries. Assisted an oil field services company in defending against several product liability actions brought by individual litigants alleging personal injury. Represented an oil field services company in commercial litigation concerning alleged equipment failure and damages resulting therefrom. Represented an exploration and production company in arbitrations involving damage to offshore platforms. Represented an equipment manufacturer in collecting unpaid and/or overdue bills owed. Represented a commercial equipment manufacturer in a dispute concerning alleged equipment failure and economic loss resulting therefrom. Counseled an oil and gas client in connection with Chapter 11 bankruptcy proceedings. Representation included an investigation concerning preference actions, secured claims and adversary proceedings. Has represented operators and contractors with respect to contract risk management, well blowouts, onshore and offshore drilling, drafting of commercial oil field service agreements, joint operating agreements, catastrophic personal injury, exploration, completion, insurance disputes, and bankruptcy.